When my daughter was 2, I took her to visit her big brother at preschool. One of the first things she did was try to climb on the big kid toys on the playground, fall, and cry. But now she’s one of the toughest kids I know, so I guess that minor injury was actually a life lesson in not giving up when things get hard and refusing to give in to pain. 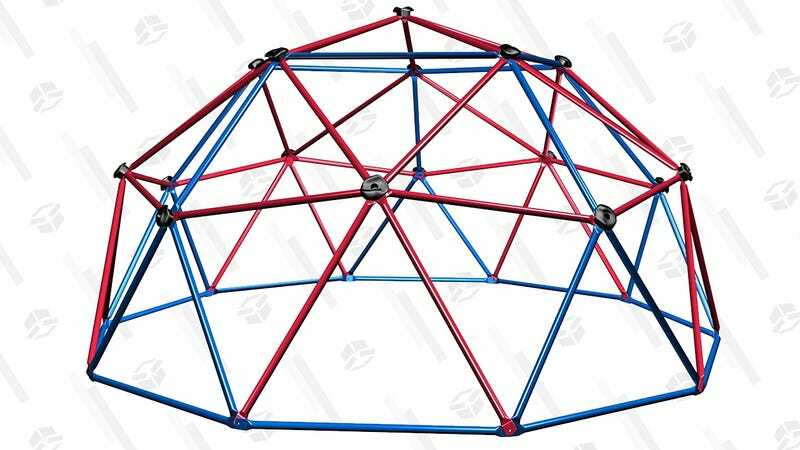 Teach your children those same lessons in your own backyard with the Lifetime Geometric Dome Climber Jungle Gym, $130 at Walmart and Amazon. It’s 5 feet tall at the apex, so not high enough for most missteps to be life threatening, but it should be sufficient to yield the benefits of “risky play” that experts are always talking about. 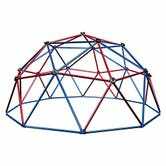 But I don’t blame you if you maintain strict supervision while your kids are on it — there’s only so much freedom most parents can give before anxiety sets in.